According to a market research study published by Transparency Market Research, the minimal invasive surgery market is anticipated to reach USD 50.6 billion by 2019 from USD 25 billion in 2012 by growing at a healthy CAGR of 10.50%. The main factors behind the growth of the market include rise in the number of cases of diseases such as kidney stone, cancer, cardiovascular diseases, and arthritis globally that has greatly expanded the target patient population demanding minimal invasive procedures. Increase in disposable incomes in countries such as Brazil, Mexico, India, China, and others would also lead to the growth of this market by increasing the affordability for these medical services for patients. North America is currently the leader of the market. Asia Pacific is expected to expand at the fastest growth rate of 13.30% over 2013-2019. The surgical devices segment captured the largest share of the market in 2012 and is expected to report the fastest growth over the forecast period. 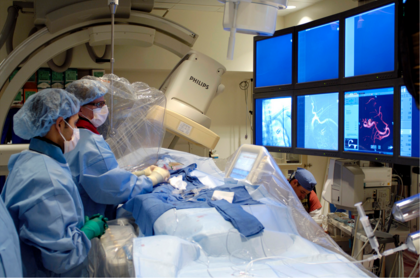 The cardiac surgery segment held the largest share of the minimally invasive surgery market in 2012, in terms of revenue.